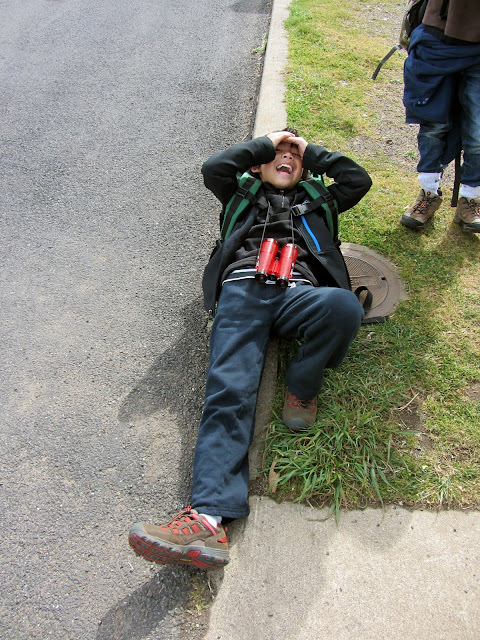 When Tristan left in the morning with his big duffle filled with sleeping bag, toiletries, and layering pieces--for which I had specific instructions lest he go out everyday in a t-shirt--I was in pieces. There was never a doubt in my mind that we would make it happen, and figure out a way for him to be included in his class' first overnight stay. I just hadn't anticipated how nerve-wracking it would be. And little did I know how much of a learning and growing experience it would be, for the both of us. 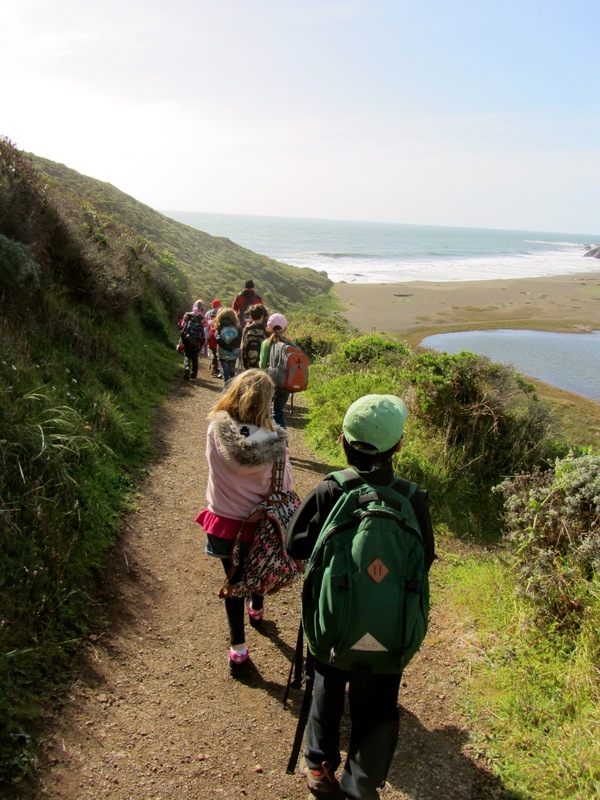 Eighty third graders stayed two nights at the Point Bonita YMCA. It is a clean facility, with separate boys' and girls' dorms. Bunks are divided into several smaller rooms and one meeting room, and large bathrooms. Their spacious dining hall includes a buffet and plenty of long cafeteria-style tables. All the children were given an orientation about how the dining hall works, with an emphasis on composting and taking only what you can eat. The food is mostly organically grown and healthful, with basic ingredients, which simplified things for us. On top of it all, the meals were delicious. 1. I emailed Food Service Director Rich Holden well in advance of the trip. We emailed back and forth until I came up with a modified menu for Tristan. It would have been nice for these menus to have been posted in the kitchen upon our arrival, but Tristan brought two copies of the menu with him, both of which he ended up giving to the chefs for reference. I made sure to introduce Tristan to the chef before the first meal. Here is the dinner menu for day 1. Rich was willing to do a modified menu, or a combination of a modified menu and supplements, depending on the food allergies. We needed to do minimal supplementation (just soy milk boxes and Oreos), as there was lots of variety. Tristan ate a hearty meal of pasta with meat sauce and vegetables on day 1. His food was either separately plated by the chef, or he was allowed to plate his food first to avoid cross contamination at the buffet. We brought a stash of Oreos for dessert, and he ate those instead of their cookies. Although I was very impressed by the kitchen's attempt to accomodate Tristan with allergy-friendly cookies, I decided against them after reading a "traces of dairy" warning on the package. 2. Before the trip, I gave Tristan's third grade team a refresher on food allergies and Epi-Pens. I used some of the materials from our Food Allergy Summit in NY (and later improved the presentation with a food allergy quiz). Each teacher tried out a trainer pen, and I answered everyone's questions as best as I could. 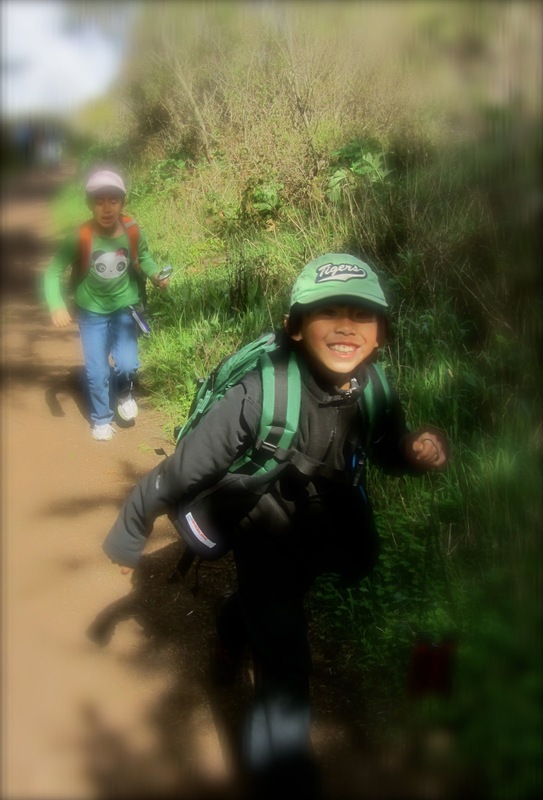 We agreed that Tristan would carry his Epi-pen in his pack. It was really valuable to reconnect with the teachers about the severity of Tristan's allergies. During his stay, Tristan was grouped with the male teacher in the group for hiking and bunking. Big thanks to Mr. H and the third grade team! 3. On the advice of his allergist, Tristan brought Claritin to take nightly. In an unfamiliar place with allergens all around, it was smart to have some antihistamine in his system. 4. 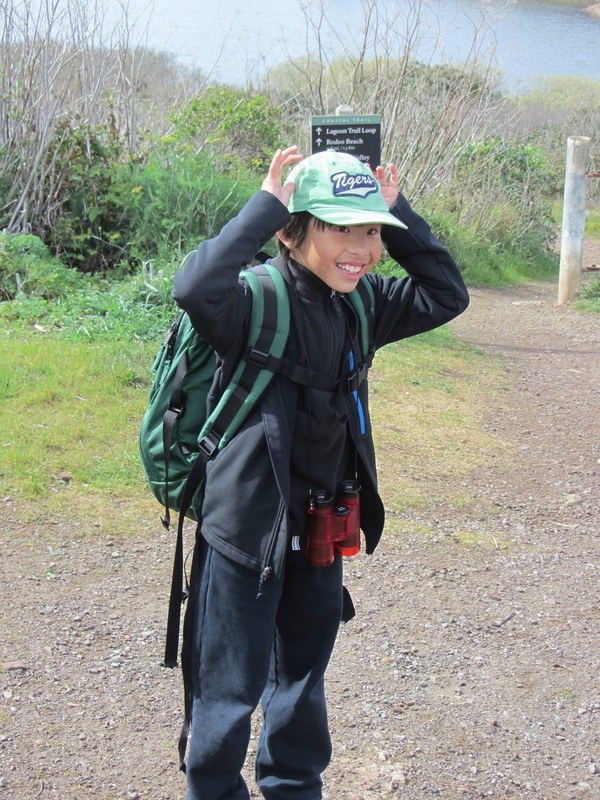 The naturalists were alerted of kids who had special needs or medications, so they were made aware of Tristan's allergies and medications in his pack. 5. I tried to prep Tristan about managing his food allergies with a balance of trust and caution. I needed him to trust that I had prearranged a safe menu for him, but I also warned him that adults could make mistakes, and that he needed to make sure he was getting what was on his menu. I asked him to look at his copy before each meal, and make sure he knew what he was supposed to be eating. I think that helped empower him and give him a sense of confidence. 6. I packed safe granola bars in his pack, in case he wasn't comfortable with a meal, snack, or just got hungry. When I went to pick Tristan up from school on day 3, he looked relieved to see me. In the car, he told me that he "just missed us so much." I was so proud of him for having such courage and stamina to collect his worries and gain such a valuable experience. Three days without him at home gave me a glimpse into the future, with a bit of worry, but a lot of optimism, too. The day I was there, we hiked around and down to the beach, then back to the Y. The kids would approach the trail as a group, each with different responses and ways of coping. Some would charge straight down the hill, without looking back. A few would sidestep down, cautiously taking each step. Others would look straight down, as not to brush against poison oak, or step into a hole. My hope for Tristan is that he is cautious, but confident through life, and that he take the time to explore and take in his surroundings. I hope that when he needs to, he will grab my hand for some extra support, and that he will let go when he's ready. I may never be ready, but knowing that he will be is an awesome feeling. Just in the past week there have been two food-allergy related deaths reported in the news. College freshman Cameron Groezinger Fitzpatrick died of anaphylaxis after eating a cookie made with peanut oil. 12-year-old Maia Santarelli fell ill and died of anaphylaxis after eating ice cream purchased in a shopping mall. It breaks my heart every time I read the headline and see the photo of these smiling, vibrant faces. These young people had their whole lives ahead of them but they cut way too short, and all because of food. When I read these stories, I think of my own kids with food allergies. How can I not? Have I given my kids a cookie that I was told was free of milk and free of nuts, only to discover that this was not true? Yes. Did my youngest eat ice cream in the mall, develop facial swelling, sneeze, and cough, and require a visit to the ER? Yes. These accidents happened. I am not proud of that fact that they happened under my watch but I have accepted that accidents are accidents. I try my best to prevent them but mistakes are always made. "My child's allergies aren't too bad. She isn't that allergic, like other kids." There is an idea that allergy testing and patterns of previous allergic reactions can predict how a person will react when exposed to a known allergen. However, this is a serious misconception. Allergic reactions may be different in any given situation. A hive after one instance of exposure could be abdominal cramps and vomit in one situation, or swelling airways in another. No one knows the type and severity of a future reaction and for that very reason it is critical to always prepare for the worst-possible reaction by carrying epinephrine medication with you at all times. 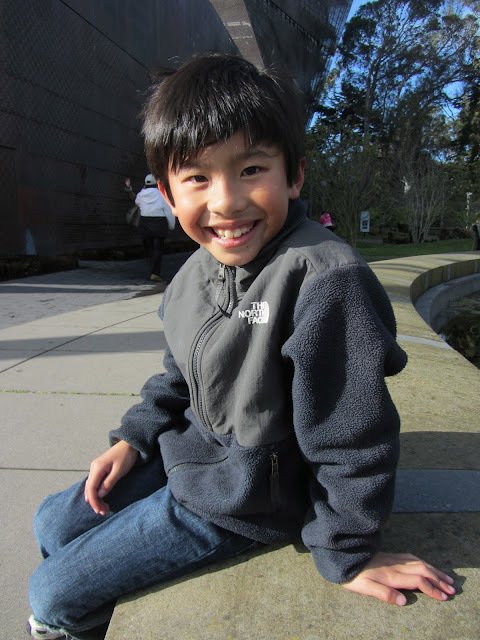 San Jose father Brian Hom lost his older son, BJ, to food allergies after an accidental exposure to peanuts. In this FARE public service video, Brian describes the mild reactions that BJ had prior to the reaction that took his life. Yes, it is responsible -- critical -- for all families who manage food allergies to try to be in control or have full knowledge of any food or skin products that they will come in contact with. (Good practice for non-allergic families, too!) But mistakes happen to even the most diligent of us. Epinephrine provides a line of defense for those mistakes. Having epinephrine does not mean you can take risks and neglect talking to food preparers, reading ingredient labels, and asking about possible cross contamination. And having epinephrine as a backup does not mean you or others should view yourself as unable to protect your child through your judgment. We are extremely careful about what our family eats, too. But just recently both kids have an allergic reaction to cupcakes made from the same recipe and bakery that they have had two times before. We gave the kids Benadryl, kept our EpiPens at the ready, and watched them like hawks and the symptoms gradually subsided. Unless you grow all the ingredients and make and handle the foods yourself, you just never can be 100% sure of the safety of your food. "It's so bulky but we carry Benadryl." While I don't think people want to admit it, size does matter for some. An EpiPen auto-injector does take up quite a bit of room especially when you have more than one food-allergic child! Pair the bulky excuse with "my child isn't that allergic" or "we are very careful about what s/he eats," and parents can convince themselves that it's okay not to take their auto-injectors with them. Benadryl may be good for mild symptoms like rashes and sneezing but it is not enough to keep airways open in the case of anaphylaxis. If size is an issue, a new epinephrine auto-injector may be a more attractive option for you. Sanofi's "Auvi-Q" auto-injector has just come out on the market. Auvi-Q provides emergency epinephrine medication in the size of a credit card. The devide also features voice instructions that can walk whoever must administer the medication through a potentially new and stressful situation. My allergist demonstrated the device for us at our last appointment in January. While the brand new product does not have a track record yet, the size and voice-guided commands are definitely attractive. "I keep forgetting to pack it." Packing an epinephrine auto-injector may not be part of your daily routine already but it should be. I have a mental checklist of exactly 4 things that I absolutely do not leave the house without: keys, wallet, phone, and Epi-Pen Jr. twin-packs for each child. My husband and I have turned the car around several times when we realized that we had forgotten to grab our emergency medication pack as we rushed to get out the door. It is a lifeline and, however cumbersome it is, you just have to learn to remember it always. Allergic reactions can happen instantaneously anywhere, even in areas that you frequent and consider your safe zones. In the case of anaphylaxis and the swelling of airways, every minute counts. Epinephrine is most effective at the onset of a serious reaction. Delayed use of epinephrine can still lead to death. "We're not planning to eat anything while we're out." This is a good game plan for parents. But sometimes there are unexpected delays or last-minute changes of plans that make it necessary to feed your kids. Whether it's store-bought, restaurant-prepped, or homemade food, any time your child will ingest something it is important to be prepared for a reaction in case there was cross contamination anywhere in the food manufacturing, preparation, and serving process. Even if you aren't eating anything, allergic reactions can occur with non-food items. More and more hair and skin products are using ingredients such as food proteins, nut oils, and extracts. I can think of four occasions when my kids and I read the label of a liquid soap at a restaurant, a friend's house, even the allergist's office (true story) and discovered it contained milk protein or walnut oil. Bottom line: Any food allergy has the potential to be life-threatening. Studies have shown that a body's reaction to one exposure may be very different from the body's reaction to another exposure: you just don't know. When someone you know and care for has food allergies, your life will and must change. You must toss out your idea of a totally carefree and spontaneous life and be prepared with safe foods, wipes for cleaning hands and surfaces to limit cross contact, and emergency life-saving medication. People with food allergies can still lead happy, healthy lives -- our kids certainly do -- but it is not without constant vigilance, planning, and clear communication. Think of it as a "new normal" and keep yourself ready for any situation. St. Patrick's Day is this Sunday. Do you celebrate it in a big or small way with your family? My family has no Irish roots but we do use the holiday as a fun way to "get our green on". I have been on a kale kick lately -- kale in our tacos, kale in our fried rice, kale in our pasta-- so I definitely want to make something with this vitamin-rich leafy green. With warm temperatures arriving in our area, it was a great excuse to break out the ice cream maker. I decided to revisit a kale mint chip ice cream recipe I had posted in 2011. I love to tweak and remember having some issues with the texture of the frozen ice cream so I went right to tinkering with the original recipe. I subbed in agave sweetener for the refined sugar so that I wouldn't need to heat the mix to dissolve table sugar. I ended up reducing the amount of agave because it is sweeter than table sugar. I omitted the extra oil that the original recipe called for since canned full-fat coconut milk provides enough fat to help with the creamy texture. Adding arrowroot powder is absolutely key to getting a creamy texture. It is expensive stuff but a little goes a long way -- the same bag of stuff will get you through many, many quarts of smooth ice cream, my friends. I think it also helped tremendously to be working with a better blender (we have a Ninja) that could really grind up the kale leaves into tiny pieces. The more the kale is ground up, the easier it is to hide any chewy leafiness among the mini chocolate chips! And mini chips were much more appropriate in frozen dessert than regular-sized chips. I love that Enjoy Life offers this size. Except for the mini-chocolate chips, combine all ice cream ingredients in a blender. Blend until kale leaves are cut into tiny flecks. Prepare ice cream mixture (again, not the mini chips yet) according to your ice cream maker's directions. Add the mini chips in at the last five minutes of the ice cream making time. Serve immediately. The ice cream will be a little more solid than soft serve. Freeze for an additional hour for a more ice-cream-out-of-a-carton texture. Freeze any leftovers in a freeze-safe container. When serving on another day, let the ice cream container warm up on the counter (room temperature) for 30-45 minutes before scooping. sure enjoyed every last lick of their humungous cones! The texture is a big improvement over the original posted recipe. My eldest son, who had not been a fan of the 2011 kale ice cream, absolutely loves this new iteration as does his little brother. Sleep training, weaning, and a slew of uncertain firsts--first day of preschool, first cavity filled, first vaccinations, first fever, first fall, first time being teased or belittled. Anyone who thinks parenthood is easy has never been a parent. Our kids go from us being there every step of the way to independence in what seems to be a blink of an eye. Tristan had his first fashion photo shoot at 10 months old. I was there to push him in the swing, and to take him out when he started crying. It's been a long time since he got all of our undivided attention. On top of these gut-wrenching rituals into childhood, our kids today deal with much higher expectations than we could've ever imagined when we were little. At issue in our household: pressure for excellence in schools with curricula that is increasingly demanding, in a pool of students who are exposed to academic learning at earlier ages. Then, the need to book our children's schedules with enrichment activities to keep them well-rounded. On top of this, kids need to be able to negotiate the delicate balance of fitting in, which is essential for surviving in school, while keeping the uniqueness that comes from inside them. Having food allergies means being "unique" is inherent, making kids work even harder to find that balance. Tristan's love of performing has made him a target of teasing. Being eight is a difficult business. Being eight with food allergies and facing your first three-day overnight with 88 other children and a chef you are entrusting your life with seems daunting. Being the parent of said child is filling me dread. I pride myself in not being the worrying type. But third grade has brought with it new challenges that I may not have readied myself for, nor did I adequately prepare my son for. And I'm worried. This week, he will be venturing out into the world with another first. A first that has taken much preparation, physically and emotionally. His anxiety has rubbed off on me, and mine on his. For a kid who has always dived into life's challenges, the vulnerability I've seen over recent issues has required us to grow--to be more open, to listen to each other more, and to reassure each other. Growing has meant rough patches, disagreements, and misunderstandings, but like with any other milestone, after this experience, both of us will come out different people--for the better. If anything, he'll learn to toughen up and I'll get better at holding back the tears. Menu planning, lots of emails back and forth, a meeting with his allergist, a teacher training on Epi-pens and anaphylaxis, and lots and lots of worrying has gotten us to this point. I don't usually ask for much, but this week I'm asking you to please keep our family in your thoughts, especially my brave boy, who will this week take on the greatest responsibility of his life thus far.